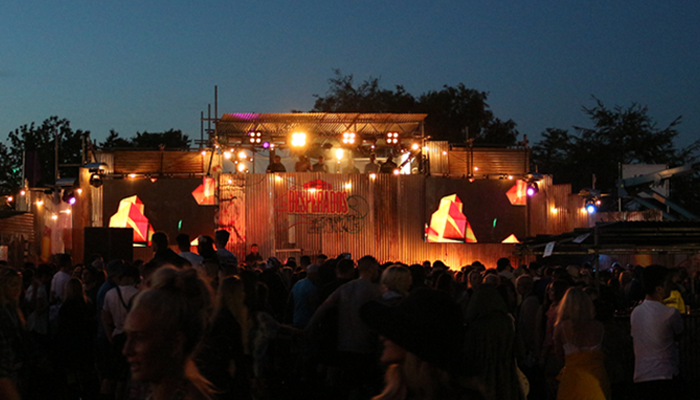 Parklife Festival is held annually in Manchester, playing host to an array of high profile live music acts. 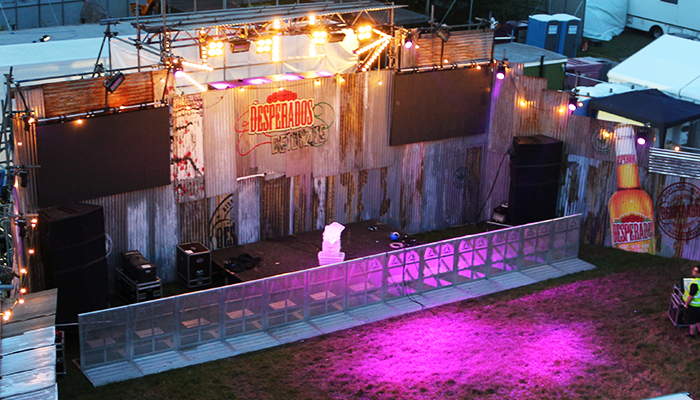 During 2014’s event, EHP won the contract to produce and construct an experimental dance stage for use at the festival. To design and build a bespoke experiential dance stage, with a ramshackle, shanty town aesthetic. The stage should incorporate a sound system, large LED Screens, Desperados bars, smoke machines and lasers with a raised DJ booth. We worked closely during this project with SWG Events. Our experienced team designed and produced a large-scale scaffold structure clad in corrugated iron sheets. These sheets were partially dipped in acid to add to the rundown aesthetic required, and were then left outside, coated in salty water to create a rusty surface. 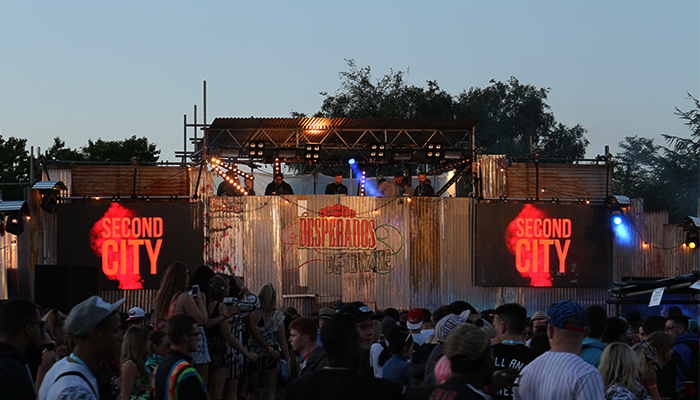 The sheets were used to clad a 36m long and 8m high scaffold structure, and then spray-painted with Desperados’ branding. With a bit of brainstorming we also managed to integrate the sounds system, screens and smoke machines. The result was a huge success and was used throughout the entire weekend.